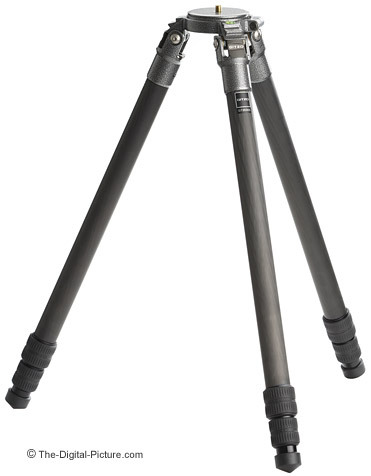 Note: The Gitzo GT3530S 6x Carbon Fiber Tripod has been replaced by the Gitzo GT3542LS Systematic Carbon Fiber Tripod. 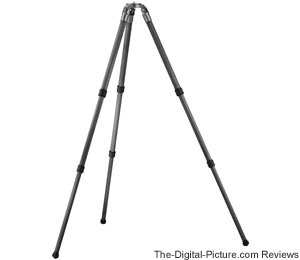 Note: The Gitzo GT3530S 6x Carbon Fiber Tripod has been replaced by the Gitzo GT3532LS. One of the enhancements is the inclusion of a third leg spread setting that "... allows you to take full advantage of the Ground Level Set feature." Like the Gitzo GT3530LSV, the GT3530S delivers the quality, features and performance that professionals and serious amateurs require from their camera support. When Gitzo introduced their new line of 6X carbon fiber tripods, I chose to replace my Gitzo G1327 tripod with the Gitzo GT3530S 6x Carbon Fiber Tripod. Later I switched to the more expensive but taller GT3530LSV when a new need presented itself. The difference between the GT3530S and the GT3530LSV is in length and price. The Gitzo GT3530S 6x Carbon Fiber Tripod is about 2" (50mm) shorter when retracted and 8" (200mm) shorter when extended - and 50.4" (128.0 cm) respectively. The Gitzo GT3530S is the least expensive and shorter of these two models. If a maximum height of 50.4" (128.0 cm) is adequate for you, the Gitzo GT3530S 6x Carbon Fiber Tripod is a great choice of tripods - able to provide solid, reliable support for all but the largest non-Image Stabilized lenses made. If you need a higher-extending model, choose the Gitzo GT3530LSV for heights up to 58.3" (148.0 cm). Since the two tripods are basically identical in all other aspects, I'll simply direct you to the Gitzo GT3530LSV review where I discuss both models.